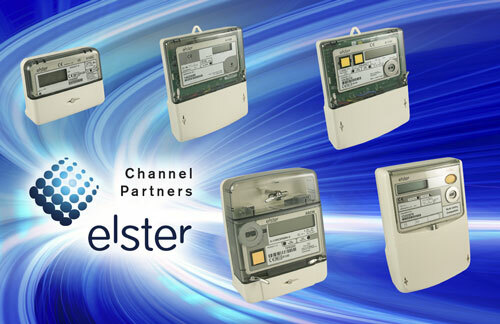 Rayleigh Instruments appointed as a Channel Partners for ELSTER Electricity Meters. Since October 2014, Rayleigh Instruments has grown into the largest stockist of ELSTER electricity meters supporting the UK market. We stock the complete range of domestic single phase, polyphase, AMR, Smart, commercial and industrial energy meters including the A100C, A1100DC, A1140, AS230 and A1700. Click here to see our Elster Channel Partner partnership link. A100C - The A100C family of domestic electronic single phase meters comply too DIN/BS specifications. The meter offers IrDA or IEC 62056-21 communications. This allows register values, security information etc to be read either optically or via a hard wired connection, making it ideal for AMR applications. A1100 - The A1100 is ideally suited to domestic, commercial or light industrial polyphase metering applications and has the option of a liquid crystal display or mechanical register. It offers highly secure metering, with advanced security features and IrDA communications which makes it ideal for use in simple AMI applications. AS230 - The AMI AS230 is a domestic Smart Meter which offers multi-tariff metering and flexible modular communications to interface directly to the utility via WAN or LAN and to connect to a consumer's Home Automation Network (HAN). A1140 - The A1120/A1140 is designed to meet the changing needs of the electricity supply industry. The meter offers comprehensive tariff and security features and modular communications solutions, allowing easy integration into an AMR system. A1700 - The A1700 offers outstanding measurement and complex tariff capability for industrial and commercial applications. Its modular design allows the addition of an input or output module and a communications module to be fitted securely underneath the terminal cover.